I went on a cake baking frenzy this past week making two 3-layer cakes for friends' celebrations this weekend. I've been slowly trying to teach myself to make beautious layer cakes so doing two in one week was a bit of a daunting task. 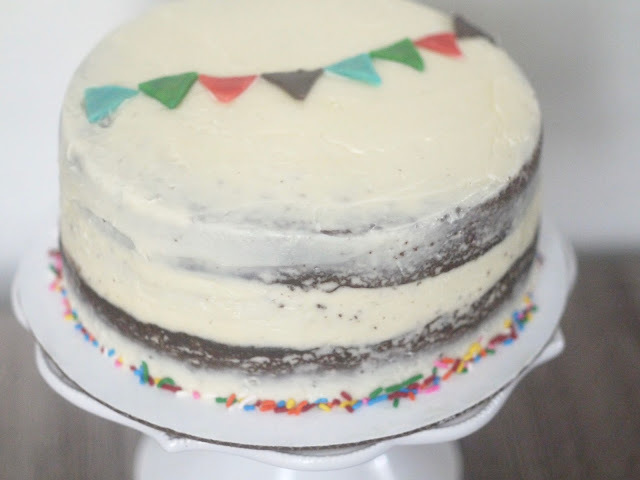 I opted to make the same simple chocolate cake with vanilla buttercream for both cakes. The recipe was for one 2-layer cake but I thought 3 layers looked more visually stunning so I assembled the 3-layer cakes by baking one more batch of the cake recipe (that's 3 batches of cake, 6 layers=lots of waiting around for my cakes to bake since I only have one cake pan). Also, this fantastic post was a BIG help in cutting the perfect fitting parchment circles for your cake pans. It just takes a bit of folding and one snip with your scissors. 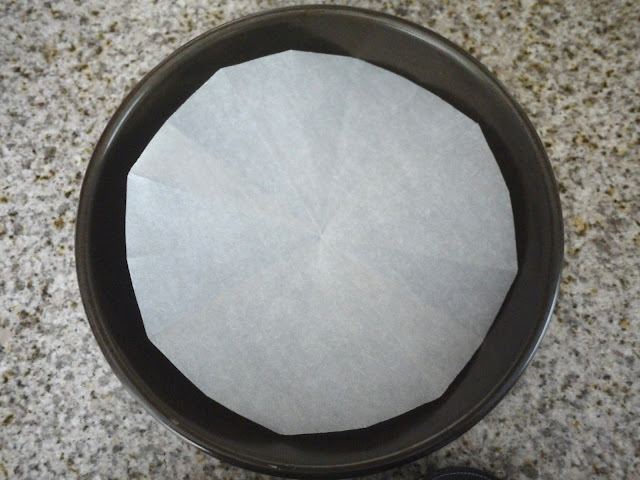 So easy and I'll never got back to trying to trace and cut the perfect parchment circles. 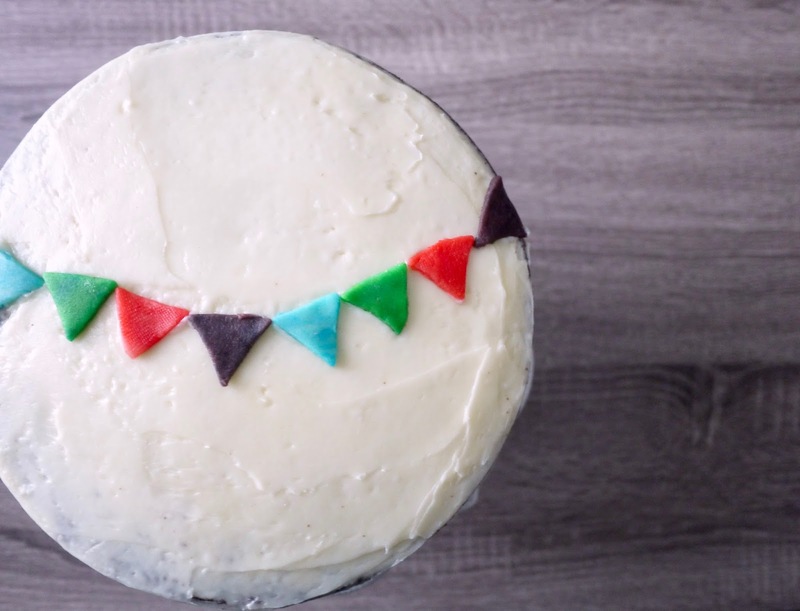 To understand my goal with cake decorating, you have to understand my obsession with perfectly smooth cakes. I follow this amazing instagram of the prettiest, most pristine cakes you've ever seen. And I hoped to attempt to make a somewhat smooth cake so I studied this youtube video and these cake decorating instructions. Well let me tell you, it takes so much patience and practice. 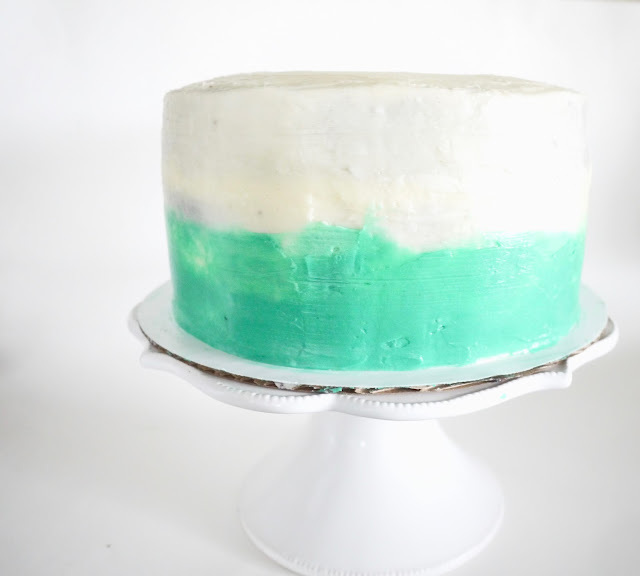 I'm definitely going to need more practice and therefore I had a naked cake with some marzipan decorations for my first cake and a failed attempt at ombre frosting for the second cake. They were pretty okay looking but not exactly what I had in mind. AND I made four batches of frosting to have enough to completely cover both cakes (that was 12 total sticks of butter---OMG!). As for the cakes, they were delicious. Simple but not too sweet and fluffy and moist. This recipe is definitely a keeper.